Invicta 21627 S1 Rally chronograph men's watch features a 48mm wide and 15mm thick yellow gold plated solid stainless steel case with a fixed bezel and textured push-pull crown with function pushers. Invicta 21627 is powered by a reliable Japanese SII VK68A quartz chronograph movement. This stylish watch also features a textured gold tone dial with white accents gold tone luminous hands and dot hour markers along with the chronograph, 12/24-hour time and date display functions, scratch resistant mineral crystal and water resistant to 100 meters. Invicta 21627 is equipped with a 24mm wide blue and beige silicone strap with a buckle clasp. 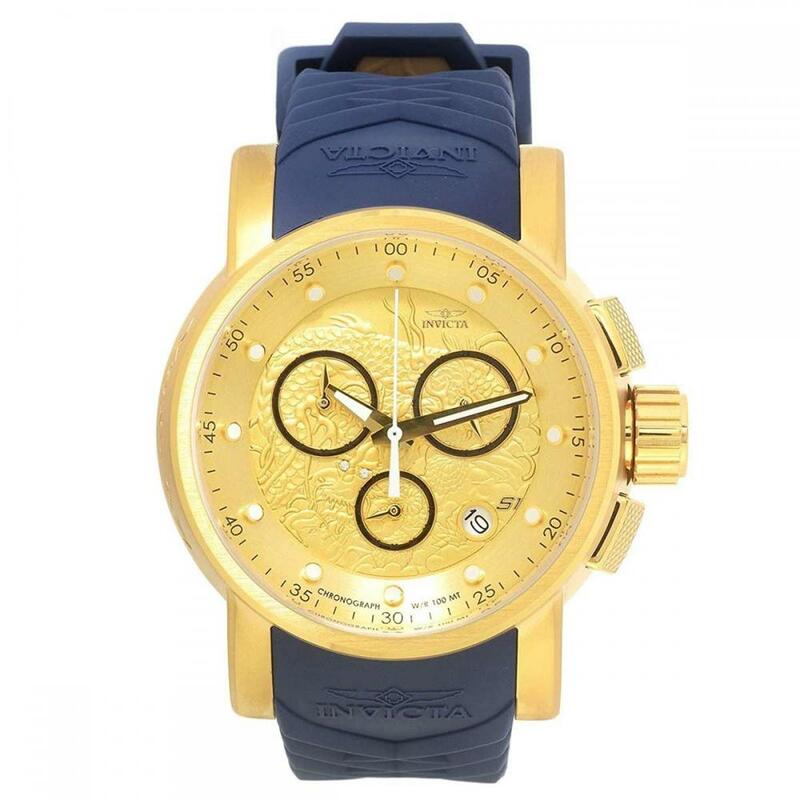 Invicta 21627 men's S1 Rally gold dial blue & beige silicone strap chronograph watch is brand new and comes in an original Invicta gift box and is backed by a 5 years limited warranty.